This fact sheet provides basic information about bitter orange—common names, uses, potential side effects, and resources for more information. The bitter orange tree is native to eastern Africa and tropical Asia. Today, it is grown throughout the Mediterranean region and elsewhere, including California and Florida. Bitter orange oil is used in foods, cosmetics, and aromatherapy products. Bitter orange oil from the tree’s leaves is called petitgrain, and oil from the flowers is called neroli. 1. 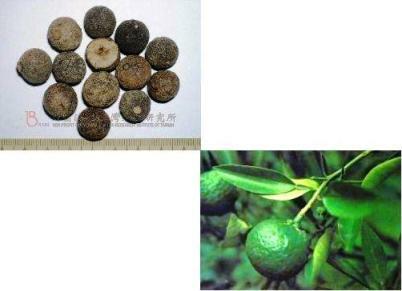 Bitter orange has been used in traditional Chinese medicine and by indigenous people of the Amazon rainforest for nausea, indigestion, and constipation. 2. Current uses of bitter orange are for heartburn, loss of appetite, nasal congestion, and weight loss. It is also applied to the skin for fungal infections such as ringworm and athlete's foot. 1. There is not enough scientific evidence to support the use of bitter orange for health purposes. 2. Many herbal weight-loss products now use concentrated extracts of bitter orange peel in place of ephedra. However, bitter orange contains the chemical synephrine, which is similar to the main chemical in ephedra. The U.S. Food and Drug Administration banned ephedra because it raises blood pressure and is linked to heart attacks and strokes; it is unclear whether bitter orange has similar effects. There is currently little evidence that bitter orange is safer to use than ephedra. 1. Because bitter orange contains chemicals that may speed up the heart rate and raise blood pressure, it may not be safe to use as a dietary supplement. There have been reports of fainting, heart attack, and stroke in healthy people after taking bitter orange supplements alone or combined with caffeine. People should avoid taking bitter orange supplements if they have a heart condition or high blood pressure, or if they are taking medications (such as MAO inhibitors), caffeine, or other herbs/supplements that speed up the heart rate. 2. Due to lack of safety evidence, pregnant women or nursing mothers should avoid products that contain bitter orange. 3. Bitter orange oil used on the skin may increase the risk of sunburn, particularly in light-skinned people. 4. Tell all your health care providers about any complementary and alternative practices you use. Give them a full picture of what you do to manage your health. This will help ensure coordinated and safe care. For tips about talking with your health care providers about CAM, see NCCAM’s Time to Talk campaign. 1. Bent S, Padula A, Neuhaus J. Safety and efficacy of citrus aurantium for weight loss. American Journal of Cardiology. 2004;94(10):1359–1361. 2. Bitter orange. Natural Medicines Comprehensive Database Web site. Accessed at www.naturaldatabase.com on May 5, 2009. 3. Bitter orange (Citrus aurantium). Natural Standard Database Web site. Accessed at www.naturalstandard.com on May 5, 2009. 4. Orange peel, bitter. In: Blumenthal M, Goldberg A, Brinckman J, eds. Herbal Medicine:Expanded Commission E Monographs. Newton, MA: Lippincott Williams & Wilkins; 2000:287–289. 5. U.S. Food and Drug Administration. FDA Requests Seizure of More Dietary Supplements Containing Ephedrine Alkaloids. U.S. Food and Drug Administration Web site. Accessed at www.fda.gov/NewsEvents/Newsroom/PressAnnouncements/2006/ucm108606.htm on June 2, 2010.